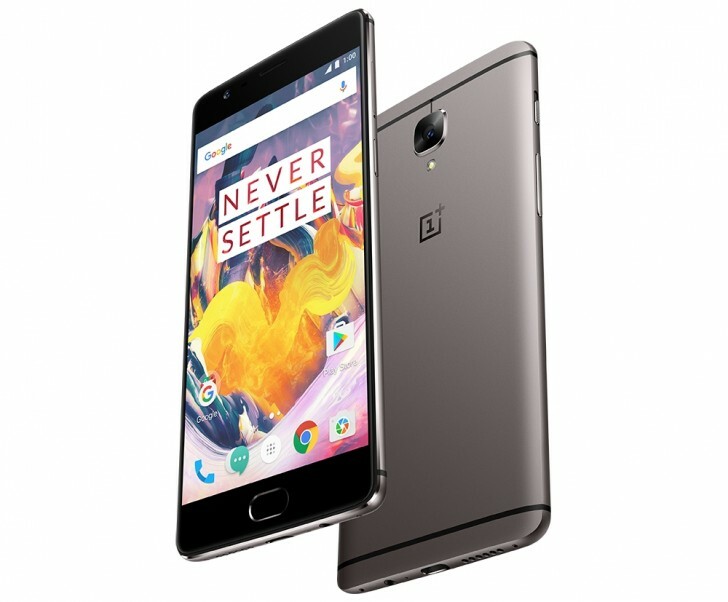 Earlier this month OnePlus launched the much hyped, teased OnePlus 3T globally but India was excluded in the launch which was surprising as OnePlus has always maintained that India is their top market and previous launches have occurred in parallel with the global launch. Lots of fan fury was seen on the social media amidst which OnePlus suddenly threw a surprise two weeks ago teasing the 3T launch here in India, in just around 5 months of its OnePlus 3 launch, which has been performing well and selling good too. Earlier today OnePlus unveiled the 3T in two variants, the 64GB priced at 29,999 INR and the 128GB variant priced at 34,999 INR. Before commenting on the pricing, lets look at the key differences and specs that the 3T brings as compared to the 3. The 3T retains the same 5.5″ Optic AMLOED screen protected by Gorilla Glass we saw from the 3, with the 2.5D curved edge. The overall design is exactly the same just that the 3T comes in gun metal and soft gold variants. The packaging too is the same. Under the hood, the 3T sports Qualcomm’s latest SoC – Snapdragon 821 which is overclocked at 2.35GHz which is more than the power efficient clocking choice made by Google on the Pixel. Adreno 530 and 6GB of RAM remain the same while the battery gets a bump up to 3400mAh as against the 3000mAh from the 3. Type-C charged phone has the same DASH charge feeding power into it, though it’d be interesting to see how long the overall charging time it takes now. The primary camera too is the same 16MP Sony IMX 298 with f/2.0 aperture and LED flash with PDAF but it now comes with EIS 3.0 that is supposed to solve the infamous focus struggles that the 3 had in its video shooting. This should also help take better low light shots. Where the major difference comes is the front shooter – 16MP with f/2.0 aperture sensor with wide angle ability. 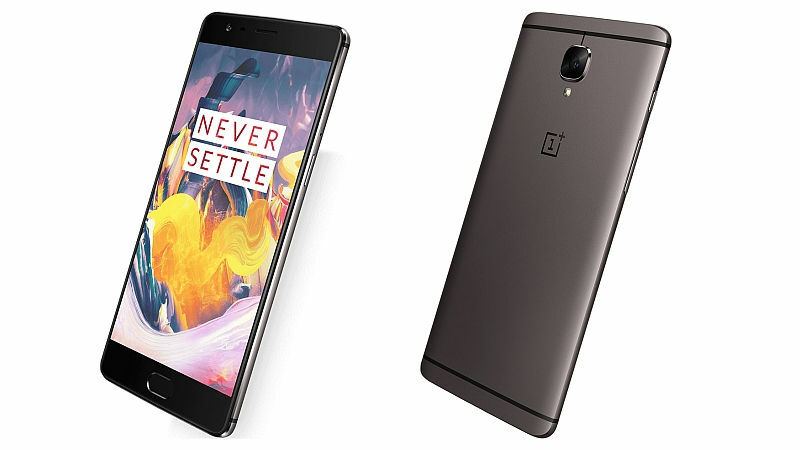 Running on Oxygen 3x built off Android Marshmallow, OnePlus has promised Android N / Oxygen 4.0 update by the end of this year, the community build for which is already running on the 3. OnePlus has also promised updates to both 3 and 3T at the same time and that the older flagship will not be ignored. While the 64GB variant is priced at 29,999INR and sounds well priced, around the same as the global price the 128GB variant seems to be a little pricer at 34,999INR when compared to its global pricing. Be that as it may, the OnePlus 3T is still a better bet if one is looking at it from a Snapdragon 821 perspective where Pixel is the closest competitor in the Indian market. If you own the OnePlus 3, there is no need to feel sad as the overall performance wouldn’t be significantly different. The OnePlus 3 may be archived soon as it doesn’t make sense to run 3 phones in parallel as it may create an internal competition but there is no official wording on this. The phones go on sale from Dec 14th break of dawn exclusively on Amazon.